Online shopping is very common nowadays. People can just browse through the internet and buy the items they are internets in just a fingertip. There are lots of online shopping websites available, but it is not easy to find a reliable online shopping website. 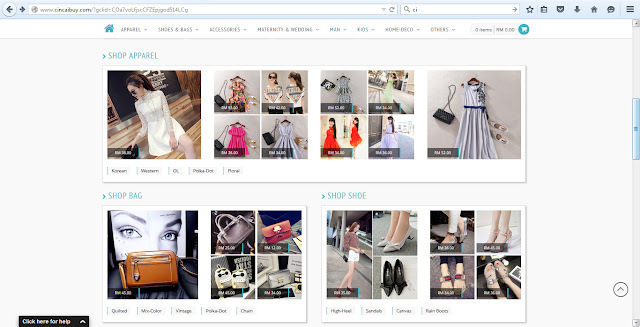 Recently, I had been using an online shopping website called “CincaiBuy”. It is quite a good website, its products data are from the China famous online shopping website “Taobao”. It is selling through a pre-order basis. Once they get the order, their staffs in China will start to purchase the customer orders and directly deliver to the customers in 10 working days. 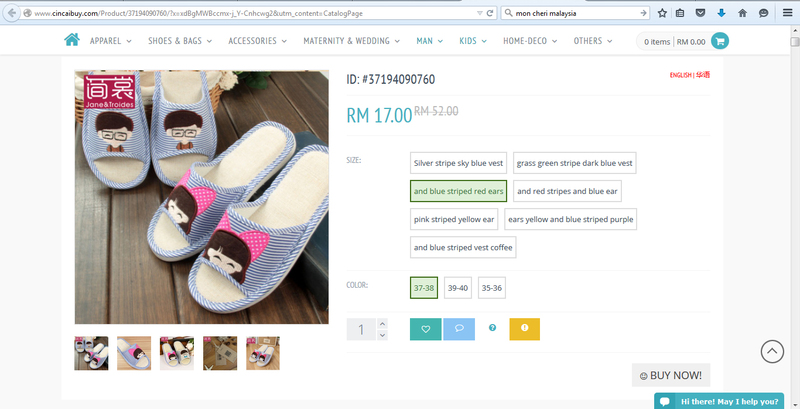 Regarding the quality of the products, “CincaiBuy” staffs will ensure the products are met with the “full description” of the products as listed in the product page. Once the requirement is met, the products will be shipping out to the customers. 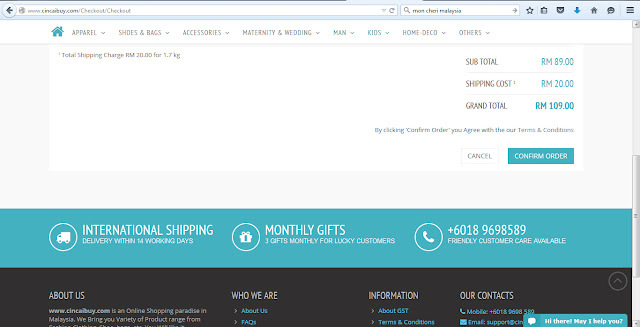 Just in case you guys are not familiar with online shopping, here is a guide on how to shop on “CincaiBuy”. Step 1: Go to the website www.cincaibuy.com. 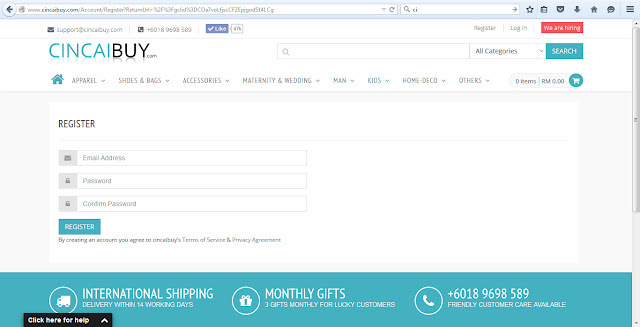 Step 2: look for the top-right corner and register yourself an account on “Cincaibuy”. 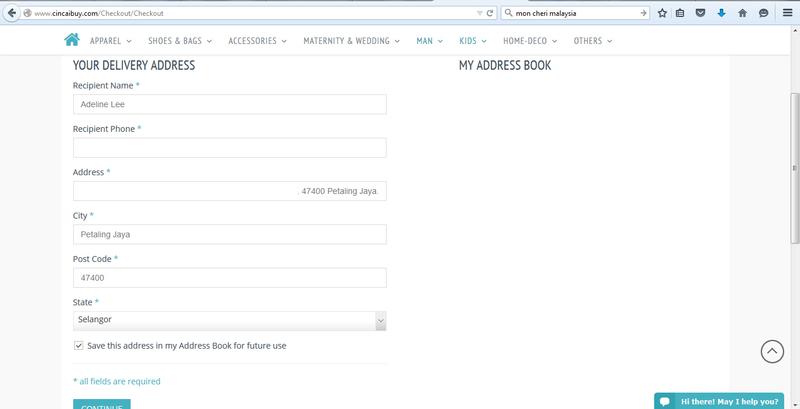 Step 3: After register, you may now select the items that you are interested. There are varieties of products ranging from fashion clothing, shoes, bags and other more. “CincaiBuy” is also listing out the new arrivals and also have some festive promotions on their homepage. Step 4: When you found something that you are interested, you have to read carefully of its description and the photos of the products. If everything is alright then you can click the “ADD TO CART” and add it into your cart. (Please confirm the size and the colour you want before proceeding.) You may continue shopping or go to your cart. 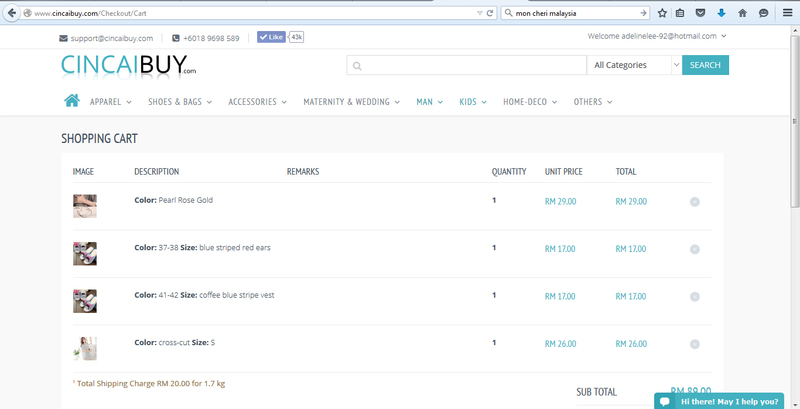 Step 5: You can also proceed to your cart which is located on the top-right of the page. 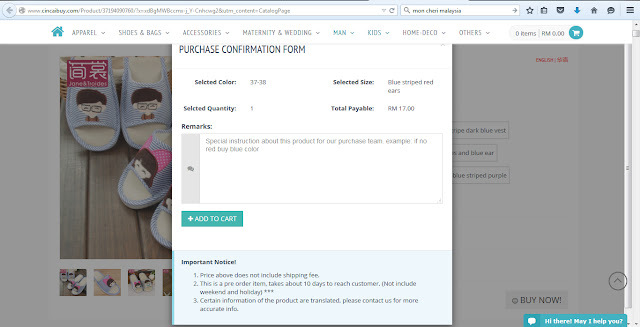 At the shopping cart page, it will display the products you previously wanted to buy and the sub total of the products and also the shipping cost. Once you are alright with the total price, you may click on “Checkout”. Step 6: There are 3 steps when checkout. Firstly, you have to confirm to use your account to checkout. Secondly, you have to fill up your personal details and the delivery address. The last step is to confirm your order again. Step 7: After confirming your order, you will be lead to a payment page where you can use various method of payment. After completed the payment, the staffs will proceed your order and all you have to do is patiently wait for the products to deliver to your home. After 10 working days, your products will be arrived at your doorsteps. The products are nicely packed in a box. The products are in good quality and it is consistent with the “product description”. 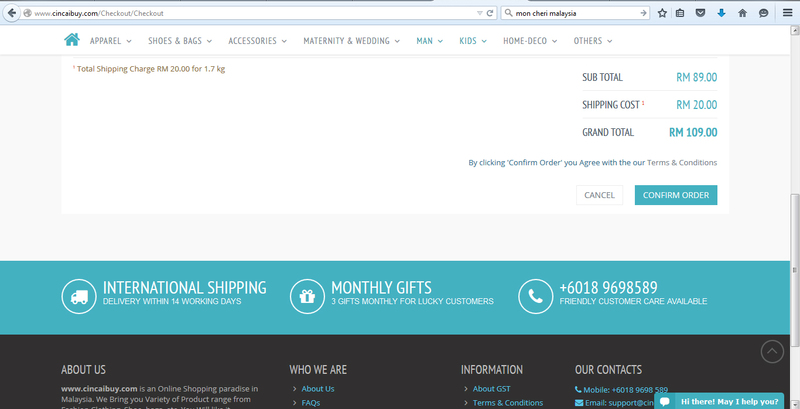 Overall, “CincaiBuy” is quite a nice online shopping website. It do offer an affordable price and they are put in effort to ensure the products are in good quality.